Celebrate one of the longest nights of the year by attending Light the Night! 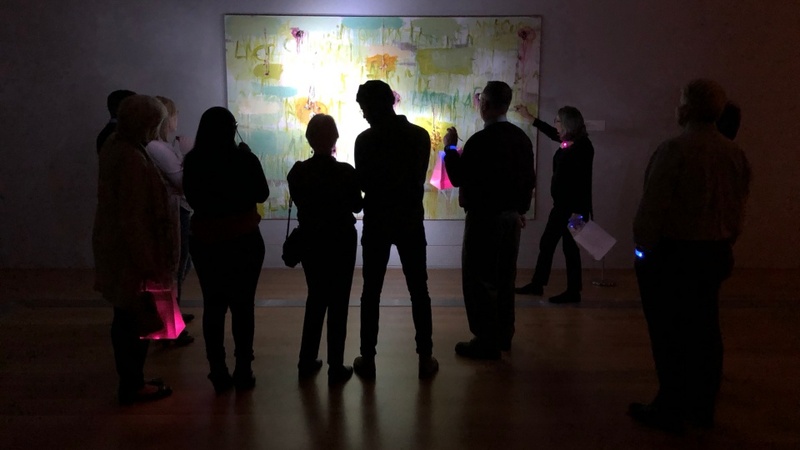 This free event will feature activities from 5 – 9 pm, including two art-making projects that light up, a scavenger hunt with a prize, holiday musical performance by Rob Karel and Ellie Frances at 7pm, and docent guided Light and Shadow tours at 6:30pm and 7:45pm. Admission and activities are all free and no registration is required. Also available on December 20: Flashlight Tours! Flashlight tours take place directly following Light the Night, and there is an admission fee and pre-registration is required, as space is limited. Visit the Flashlight Tour event page for more information and to reserve your tickets.